In an exclusive interview with Le Nouvelliste on Monday night, July 25, 2016, Cardinal Chibly Langlois called on parliamentarians to choose "the lesser evil". As per Cardinal Chilby, Jocelerme Privert may not be the ideal person to lead the country, but the critical issues that the country is currently passing through such as holding of elections on the date set by the CEP and downward revision of the budget--- we have no better option than President Privert on whom we can depend. We should maintain him as the Provisional President as he is "lesser evil" than his peers who are busier to defend their own interest. Here is President Jocelerme Privert with Dominican President Danilo Medina. 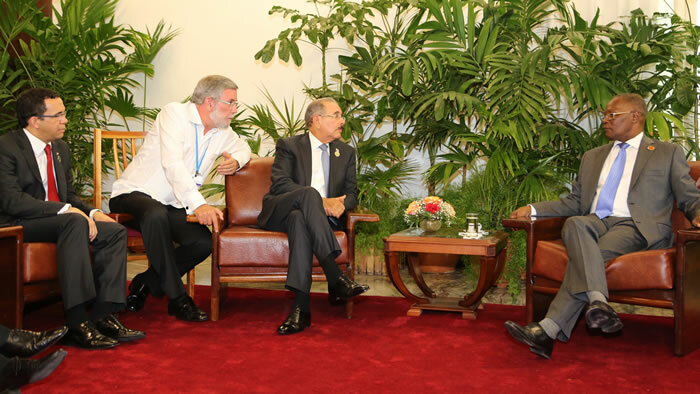 During the last 7th ACS (Association of Caribbean States) Summit in Havana on June 4, 2016, when Danilo Medina, the Dominican president met President Jocelerme Privert, Medina greeted Privert with a direct question: "When will be elections in Haiti?" Privert replied very quickly, "According to all available information, it has been scheduled for October 9, 2016." Then Privert conveyed his warmest congratulations to the Dominican President Medina for his second time victory under banner of "Partido de la Liberación Dominicana" with 61.61% votes against his main rival Luis Abinader, of the "Partido Revolucionario Moderno" (PRM) party who obtained 35.22% of the votes. Election in Haiti is equally important to the Dominican Republic, because the two countries have many outstanding issues to settle.  Privert, as an interim president representing an interim government with little political support, has very limited ability to solve these issues. He was appointed for a very short tenure (120 days) and not to remain in power. 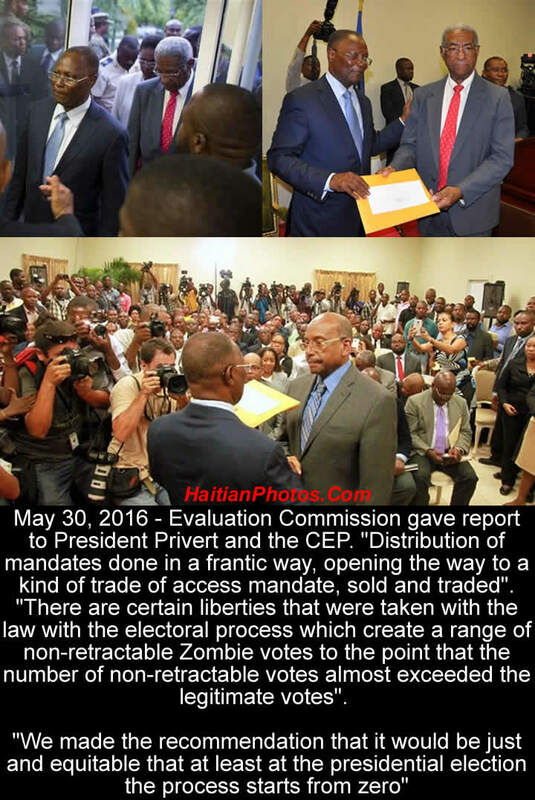 In October 2015 during Martelly regime, Haiti unilaterally banned import of 23 Dominican products which choked 88.72% of US$ 467.9 million annual trade between the two countries. As per the decision taken, the banned items cannot cross the land border, but they can enter by boat or plane on payment of taxes to the capital of Port-au-Prince or in the northern coastal town of Cap Haitien. The upcoming October 9 election will start from a scratch. There will be many new candidates, new agreements, new alliances, and different coalitions. Two former allies might become two opponents-- former Presidents Rene Preval and Jean-Bertrand Aristide. However, for us, one thing is important. Privert is thinking for the handover of power. 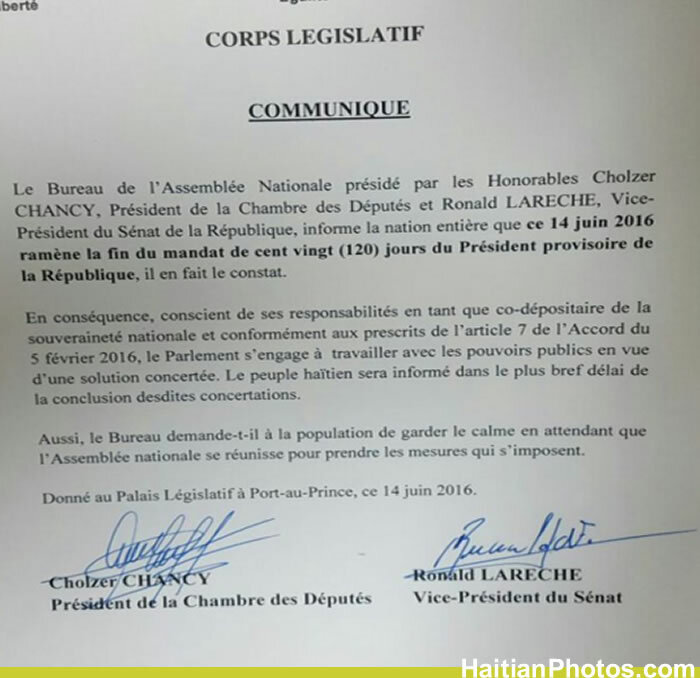 In an interview given to Marie Lucie bonhomme on February 23, PM Evans Paul has declared war on President Jocelerme Privert. A cold war is underway between the Prime Minister Evans Paul and the Provisional President Jocelerme Privert. The PM Evans Paul believes that the accord signed between Jocelerme Privert and former President Michel Martelly specifically mentions the responsibility of the new provisional president (Jocelerme Privert) to complete the remaining election process and that translates in to the arrangement of the final run off between Jovenel Moise and Jude Celestin within the scheduled date on April 24, 2016 and install a new President on May 14, 2016. As per Evans Paul, since Privert was the principal architect of the agreement with his erstwhile capacity as the Senate Chief, he must strictly respect that agreement. June 29, 2016 - Swearing in of the elected bishop of Hinche , Mgr . Desinord Jean , before the President of the Republic, Jocelerme Privert , at the National Palace. 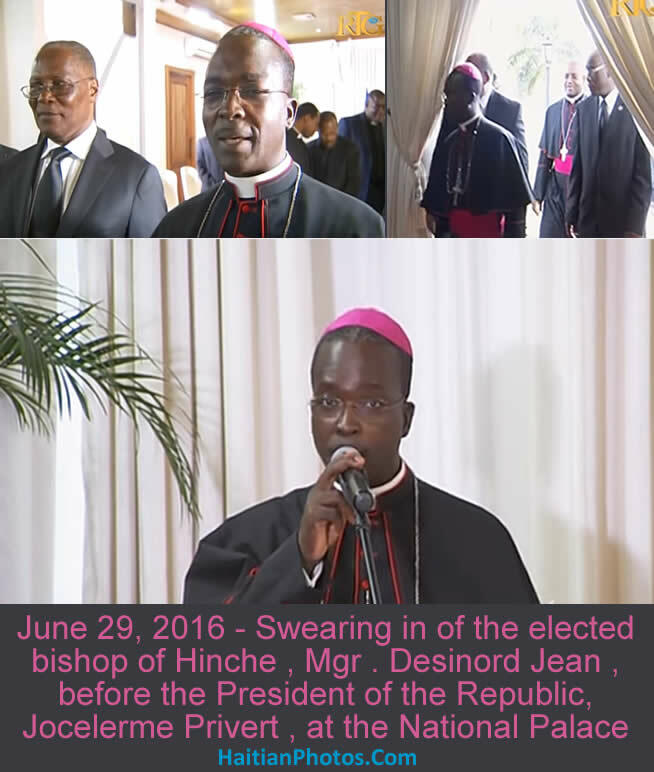 On June 29, 2016, the swearing in of the Monsignor Desinord Jean as the new Bishop of Hinche took place before the President of the Republic Jocelerme Privert at the National Palace. Désinord Jean (born in 1967) was ordained priest in 1994. He was well known to the Haitian community for his radio programs on Radio Télé soleil. On April 4, 2016, the Vatican nominated him as the new Bishop of Hinche, succeeding Mgr Simon-Pierre Saint-Hillien, who died in July 2015. The Roman Catholic Diocese of Hinche was founded on 20 April 1972; it is a suffragan of the Archdiocese of Cap-Haïtien. On Saturday, July 2, 2016, at the Cathedral of the Immaculate Conception of Hinche, the ceremony of Episcopal ordination and enthronement of the new bishop took place in the presence of Catholic clergies, including Cardinal Chibly Langlois and the Apostolic Nuncio, Archbishop Eugène Martin Nugent, many representatives of the Church in Haiti and abroad, Christian community of Hinche and many other government representatives. Here is Jocelerme Privert in Arcahaie during the celebration of the Haitian Flag. 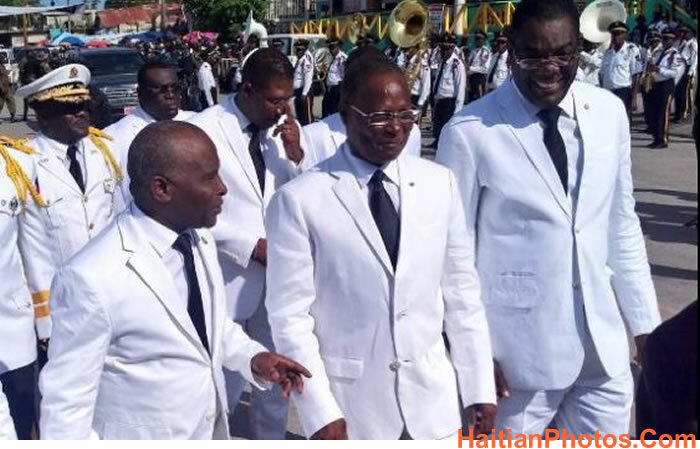 On May 18, 2016, President Jocelerme Privert visited Arcahaie to attend the 213th anniversary of Haitian Flag. On Wednesday, the President arrived in the city of flag despite the threats from the supporters of the Tet Kale party who burned tires and blocked major arteries into the city of Arcahaie. 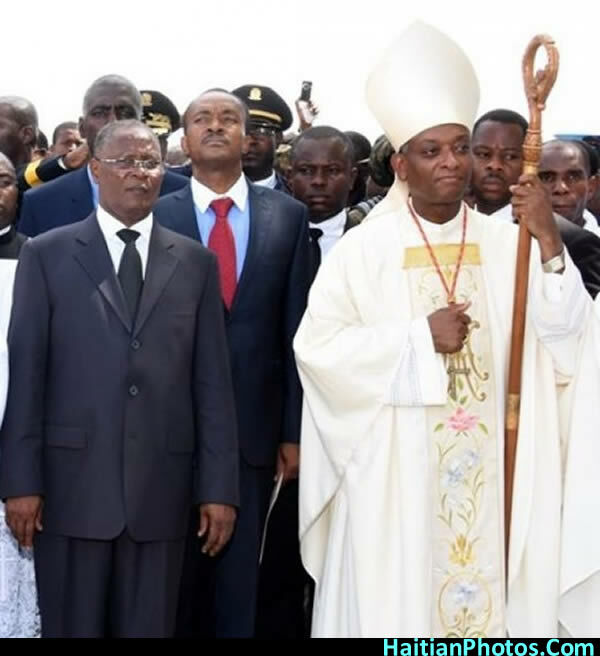 There were reports that they would not allow President Privert to enter the city and participate in the traditional ceremony on that day. However, the events unfolded in a different way. The ceremony was celebrated without a hitch and the President was able to send a strong message to these partisans. He has said, there would be no election in the country until the verification commission sheds light on the happenings of October 25th election. 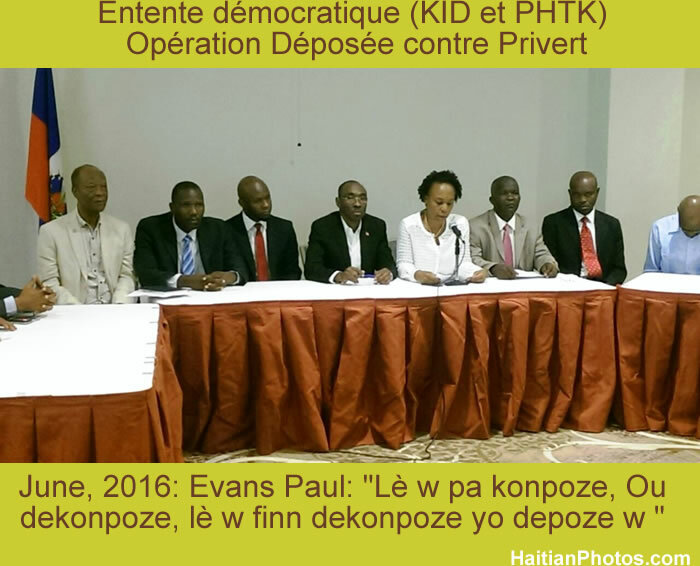 Although he did not mention any name, it was easily understood that his prime target was Martelly's Parti Haitien Tet Kale (PHTK), because they are the only political party in Haiti opposed to a verification of the last elections; the election was conducted during Martelly's regime and he along with his supporters were accused of massive frauds.